Ja & Pa are my clients. Ja, the wife is a practising lawyer and Pa is a business man. Ja called me recently to find out whether her husband had cashed out fund from their insurance programmes. She was frank to tell me that she wasn't happy, because she was worried that others are taking legal case over the husband's business. The husband had appointed the wife as their legal adviser. This was what I told her. Her man is a brave and courageous person. In business he has all the experiences and knowledge. I'm pretty sure he has the confidence to overcome any setback if it ever occurred. Though we had met recently, he never sounded that he needed fund from our insurance investments. Please don't be alarmed by being suspicious over his recent problems. As a good friend to Ja, I reminded her this famous proverb which says, "Every successful man has a woman behind." So! My dear Ja are you that special woman or merely you are his wife? If you are going to be just a wife, you might show your worries and nag him for being careless and trusting others for no reason. A joke that says, "Wives are magicians. They can change anything into an argument." I suggest for now, please be a good friend to him. A good friend would inspire, motivate and advise. A good lawyer will carry all the troubles and problems for her clients, and eventually solve them emphatically. Support him in every way but don't add fear into his current situation. She ended the call by saying to me, "Thank you so much and I love you." 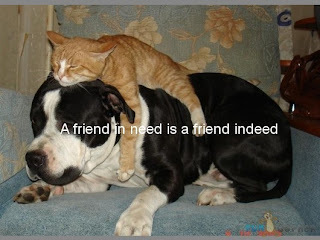 I learned from my childhood day, "A friend in need is a friend indeed."